We have developed a brand new TV digital display program. 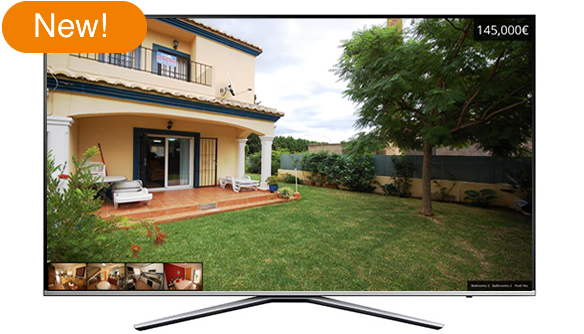 This would be a great addition to your business to show FULL SCREEN images of your chosen properties. We have a standard template design. As the show runs directly from a short list you can edit this at any time by adding or deleting properties. Should you experience an internet issue, the list will still run using your browser cookies. If you have a smart TV it should already have a browser installed. So you just copy the URL to the Smart TV browser and the display will run. If you do not have a smart TV, just connect your TV to a PC and run the show directly from this. Please let us know if you would like to benefit from this exciting new product.